You can buy these flavours in 120ml tubs (with a spoon in the lids), 1 litre tubs for retailers and large 4.5 Litre tubs. We also offer more flavours in 4.5 Litre tubs for scooping in kiosks and cafes. We currently have over 10 more flavours but continue to add new options from customers’ suggestions. We have a range of complementary sorbets, currently included lemon, rasp berry and mango. Obvious they don’t include our milk, but they still taste refreshing and delicious. Our farm’s milk can be purchased in two litres bottles from local retailers. If you’re a large user of milk, we can deliver directly to your premises, and we also offer 13.6 litre (3 gallon) pergal boxes if you have a machine that using them instead. 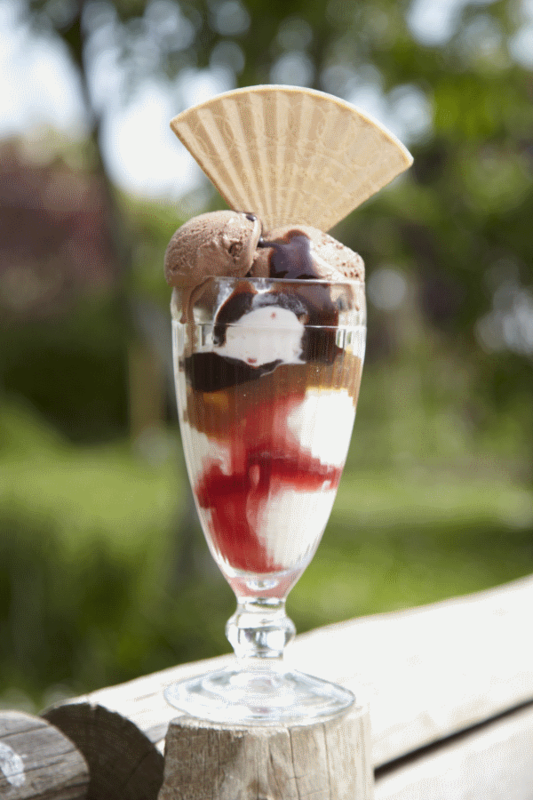 If you buy semi-skimmed, we use the cream that we’ve taken out in our ice creams - so nothing goes to waste!